The goal of A&G turf is to provide our customers with the highest quality lawn care and outdoor power equipment available. We search for manufacturers who develop products designed to meet the rigorous lawn and landscaping needs of homeowners, farmers, ranchers and landscaping professionals throughout the Phoenix Metropolitan area, as well as the entire state of Arizona. When selecting manufacturers, we look for specific high-quality lawn and landscaping products that meet the unique needs that we have here in Arizona. Within forestry management and landscaping, professionals consider Bahco tools to be synonymous with top quality, durability, safety, comfort and consistent performance. They listen to those who manage, protect and improve the land, understanding what tools they need for the tasks they must perform. When it comes to property clean up, Billy Goat Industries features a complete line of product solutions for all your residential, commercial and municipal needs. For over 45 years, Billy Goat has been the leader in making properties across the globe look fantastic. Billy Goat products are designed and manufactured with a reputation for innovation, productivity and quality. The leader in turf care equipment. Aerators, sod cutters, stump grinders, power rakes and more. Stop by an A&G Turf location and see the wide selection of turf renovation tools that are available from Bluebird. Chapin has created sprayers that specialize in specific uses as well as sprayers designed for multiple jobs for both the home owner and professional. With over 30 years of experience in the industry, Classen has established itself as a true force in grounds care as well as the brand of choice for commercial and rental markets. Their tough, easy to use and maintain product line includes sod cutters, trailers, aerators, turf rakes and overseeders. Landscaping professionals have been relying on the high quality garden tools offered by Corona. These tools, including pruners, extended reach tools and hand saws are designed for durability and ease of use. Stop by an A&G Turf location and see the wide selection of garden tools that are available. Learn more at Corona Landscaping Tools. When you are looking for value in lawn and landscaping tools, the choice is Echo. At A&G Turf, we carry a wide selection of Echo products including edgers, line trimmers, sprayers, leaf blowers, chainsaws, hedge trimmers, vacuums and extended reach tools. Echo designs products to make lawn work easier and efficient. Learn more at Echo Lawn Products. Fred Marvin Associates began as a small family-owned business making pole pruners and saws for professional arborists and serious landscapers alike. More than 65 years later, the company has expanded into an highly recognizable manufacturer of tree tools. Since 1944, Gateway Safety has been designing and manufacturing high-quality personal protection equipment. In an industry that’s filled with competition, many people have come to view many safety products as commodities. Gateway Safety does not subscribe to this point of view. With over 60 years of experience in the rental industry Ground Hog manufactures high quality trenchers and earthdrills that are extremely durable and easy to maintain. For many decades, Honda has been an innovator of high-quality lawn and landscaping products. These products include lawn mowers, generators, pumps and line trimmers. The staff at A&G Turf will gladly show you the complete line of Honda products and help you select the right one for your lawn or landscaping project. Learn more at Honda Outdoor Power Equipment. Manufacturer of chain saws, lawn mowers, and specialty turf care equipment. Hustler Mowers are famous for their tight turning radius offering the ability to cut grass in tight places that conventional mowers could not do. This mower features a mid-mount mowing deck and plenty of speed to get the mowing done quickly. Hustler Mowers are great for landscaping professionals and homeowners. 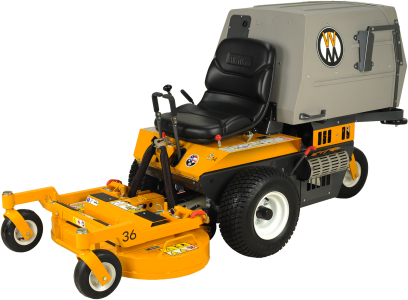 Learn more about our residential, commercial, industrial and electric mowers at Hustler Mowers. Kawasaki manufactures one of the highest quality utility vehicles available. The Kawasaki Mule is the perfect utility vehicle for job sites, farmers, ranchers, hunters and those who need the ability to work in rough terrain and efficiently transport workers and equipment. Learn more about the models of Kawasaki Mule that we sell and service at A&G Turf. Little Wonder offers more debris management products than any other manufacturer in this category, including their famous line of Optimax walk-behind blowers, Pro vacuums and industry leading TruckLoaders. PrizeLawn manufactures the highest quality spreaders available on the market today. PrizeLawn products are the perfect spreaders for professional landscapers, Fleets, Governmental applicators, homeowners and those who need the ability to apply fertilizer and seed products in the most efficient manner . Learn more about the PrizeLawn models that we sell and service at A&G Turf. For lawn care products that are professional grade, Shindaiwa lawn products is the answer. For decades, Shindaiwa has been manufacturing lawn and landscaping tools of the highest standards. They are the choice of professional landscapers, but are available at A&G Turf for homeowners, farmers and ranchers who demand the best. Learn more at Shindaiwa Landscaping Products. The Silky saw product line carries everything from handsaws, polesaws and choppers to folding saws and a number of replacement blades and saw parts. These range from excellent tree care tools to trail saws and even utility saws for linemen all the way to woodworking saws for both fine and rough carpentry application. Stihl is famous for its high-quality chainsaws, but they also put that same excellence into their other lawn care products. A&G Turf carries a wide selection of Stihl products including vacuums, leaf blowers, line trimmers, pole trimmers, hedge trimmers, cut-off saws, hand tools, as well as the popular line of chainsaws. Learn more at Stihl Lawn and Landscaping Products. Tru-Cut, Inc. gained its outstanding reputation manufacturing the finest commercial front throw reel mowers, rotary mowers, power wheel lawn edgers, and clutch driven dethatchers. Residential users also represent a sizeable portion of Tru-Cut business. Tru-Cut products are known for their ruggedness, heavy duty construction, precise and manicured cut, low maintenance and unsurpassed quality. For over 30 years, Walker Mowers has provided professional riding lawn mowers for landscaping professionals and homeowners alike. These high-quality lawn mowers offer great versatility, easy-to-operate controls, out-front mowing decks and either a grass handling system or a mulching feature. Walker makes landscaping more enjoyable and efficient. To get more information on the products offered by A&G Turf, give us a call today. In the Phoenix Metropolitan area, call 602-443-3072 or toll free throughout Arizona at 1-800-487-8651. We have four convenient locations throughout the Valley. To see the location near you, please visit the Store Locator. You can also reach us with any product questions that you may have through the Contact Us page.